It’s nice to redecorate your home and give it a new lease of life, and one of the easiest ways to do that is using paint. The great thing about painting your walls is that you don’t need to make any physical changes to the layout of your room and any changes made are almost always reversible. The great thing about using paint is that you can create whatever effects you like. This allows you to create specific “zoned” areas within a room, or even just on one wall, using different colours and shapes. If you have a boring room, then you can experiment by using a range of shapes in different sizes, and emphasise areas of the room such as the bed or the doorframe. By using similar colours in different tones, you can make the zoning areas as striking or subtle as you like. You may not feel brave enough to take not any seriously arty effects when decorating your home, but if you do fancy giving it a go, you can actually give different rooms in your home a really arty flare. Work with different lines and patterns, and use sponges and brushes to create a range of painting techniques. Try combining a few different colours to create your own headboard of focal zone. If you’re worried about messing it up, then practice on a piece of paper a few times first. If you’re looking for a subtle way to make your painted walls stand out, then layering different colour tones can create a professional looking finish that can work in any room of the house. Choose a colour depending on the room you’re painting, then use darker and lighter tones on different walls to great a subtle effect. This technique also works really well with furniture, and can help the furnishings in a room complement each other nicely. This is a trend prediction from Dulux and involves painting any neglected areas in your house with a nice colour to make different parts of your home stand out and catch the eye as you walk past. These spaces could include shelves, pipes, banisters or skirting boards – anything that you wouldn’t usually expect to be a colour focus but that can help to highlight the architectural features of a room. This trend has been around for a while, but is still very popular when it comes to changing up the décor of a room in a quick and efficient manner. 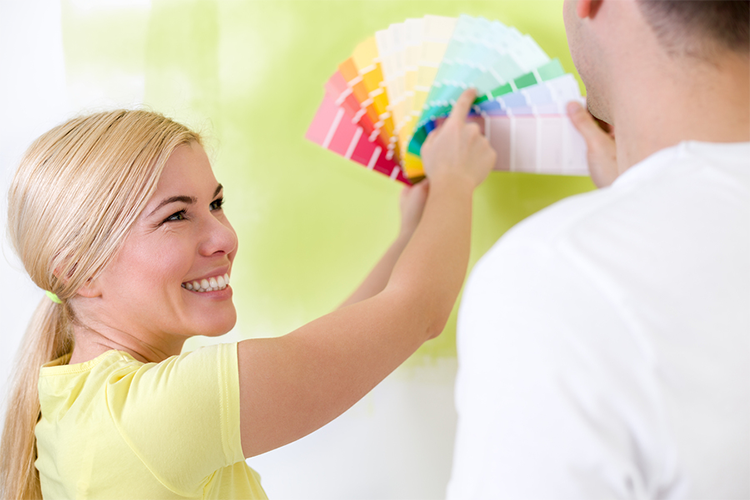 Choose a bright colour based on the room, or even on the time of the year, to use as your main colour. Once you have chosen a colour, pick a wall in your room to have as a focal point, then give it a good few layers of paint. The great thing about focal walls is that they can help to give any home a splash of colour, without being too in your face and overwhelming.